Retail price of new $2250. Our used price is $1300 Read more..
Fused Cell Core. 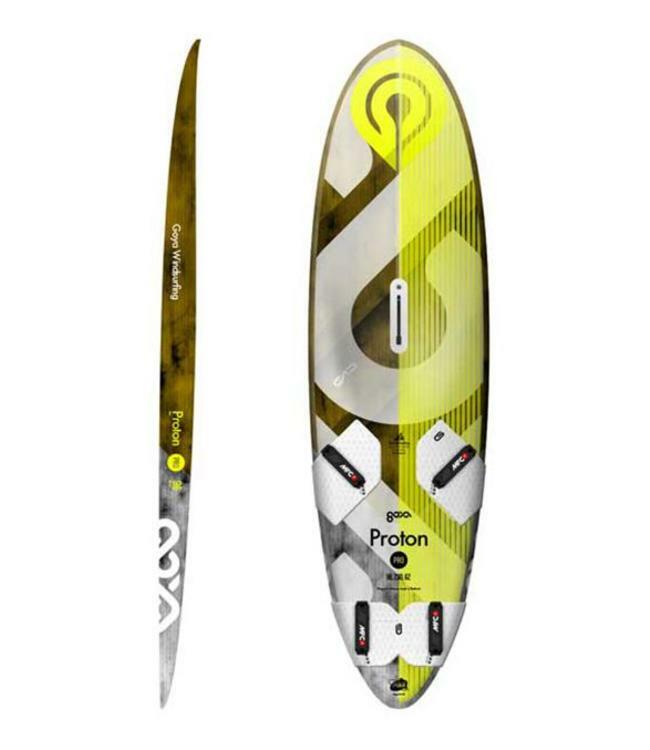 The Goya Pro Carbon and S-Glass construction comes with a Fused Cell Core made from EPS. Fused Cell Expanded Polystyrene is a high quality, low weight, rigid, closed cell foam used in advanced modern production boardmaking. Hyper Skin HD. The entire board is covered in Hyper Skin HD. Hyper Skin is Goya's proprietary High Density Foam Sandwich, delivering an immensely rigid structure at an extremely light weight. Covering deck, rails and bottom in it, gives Goya Pro boards their incomparable flex and longevity. A third stronger, stiffer and lighter than conventional boards. Core Axis Reinforcements. 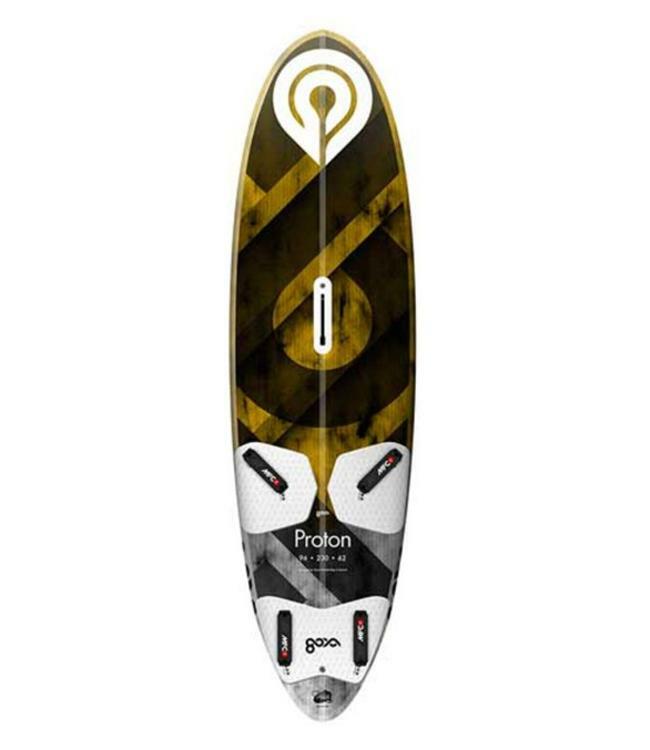 These long and wide carbon patches act as superior backbones, making your board stiffer and eliminating distortions. They furthermore ready your board* to carry a hydrofoil.